A Peaceable Kingdom cooperative game, where players play together against a common obstacle, not against each other. Helps kids experience shared decision-making, build selfesteem, work as a team and more. 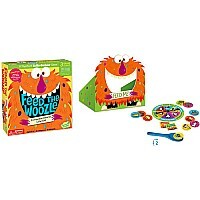 Unlike most games Feed the Woozle encourages kids to work together feed the Woozle so he won't be hungry. This way, kids work together, learn together and they help each other! 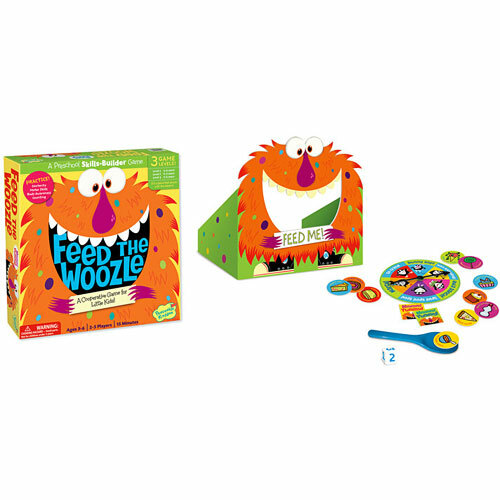 A cooperative game eliminates stress, builds self-esteem, and teaches kids that playing together can be fun!